Ivana joined Cass in 2004. She received her Ph.D. in Accounting and Finance from the University of Wales. 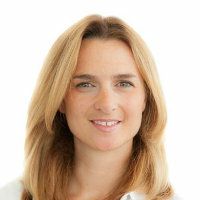 Before joining Cass, she has previously worked at the University of Siena and, before that, for PriceWaterhouseCoopers. Her research interests include international accounting, empirical financial accounting research, corporate governance and financial disclosure. Ivana has published in some major journals such as the Journal of Business Finance and Accounting, Abacus and European Accounting Review. Her teaching experience includes Financial Statement Reporting and Analysis, Equity Investments and Valuation, Security Analysis. PhD Accounting and Finance (Wales), MSc Finance (Brunel) and BA Economics (Belgrade). Raonic, I. (2016). Analysts' strategic role in using accruals. EIASM 7th Workshop on Accounting and Regulation 7-9 July, Siena, Italy. Raonic, I. (2015). Fresh Start Valuation of US Firms Emerging from Bankruptcy. 9th Asia-Pacific Business Research Conference 5-6 November, Bayview Hotel, Singapore. Raonic, I. and Gietzmann, M. (2010). Improving Disclosure Incentives for Thinly Traded Stocks by Varying the Market Microstructure. EAA Annual Congress Istanbul, Turkey. Raonic, I. and Gietzmann, M. (2010). Improving Disclosure Incentives for Thinly Traded Stocks by Varying the Market Microstructure. EIASM Workshop on Accounting and Economics Vienna, Austra. Raonic, I. and Gietzmann, M. (2010). Improving Disclosure Incentives for Thinly Traded Stocks by Varying the Market Microstructure. Methodological and Empirical Advances in Financial Analysis Sydney, Australia. Raonic, I. and Isidro, H. (2009). Firm Incentives, Institutional Complexity and the Quality of "Harmonized" Accounting Numbers. American Accounting Association Annual Meeting New York. Raonic, I. and Isidro, H. (2009). Firm Incentives, Institutional Complexity and the Quality of "Harmonized" Accounting Numbers. EAA Annual Congress Tampere, Finland. Raonic, I., Dargenidou, C. and McLeay, S.J. (2009). Transparency, Disclosure and the Pricing of Future Earnings in the European Market. American Accounting Association Annual Meeting New York. Raonic, I., Dargenidou, C. and McLeay, S.J. (2008). Transparency, disclosure and the pricing of future earnings in the European market. VI Workshop on Empirical Research in Financial Accounting Madrid, Spain. Raonic, I., Espinosa, M. and Gietzmann, M. (2008). US Institutional Investors Response to the News Flow of Intangibles Intensive European Stocks:A Study of European BioTech and Pharma Stocks. Instituto de Empresa Business School Seminar Madrid, Spain. Raonic, I., Dargenidou, C. and McLeay, S.J. (2007). Disclosure, Transparency and the Pricing of Future Earnings in the European Market. EAA Annual Congress Lisbon, Portugal. Raonic, I., Dargenidou, C. and McLeay, S.J. (2006). Financial Transparency and Stock Returns. EAA Annual Congress Dublin, Ireland. Raonic, I., Dargenidou, C. and McLeay, S.J. (2006). Financial Transparency and Stock Returns. International Conference in Accounting and Finance Thessaloniki, Greece. Raonic, I., Dargenidou, C. and McLeay, S.J. (2006). Financial Transparency and Stock Returns. International Conference in Computing in Economics and Finance Cyprus. Raonic, I., Dargenidou, C. and McLeay, S.J. (2006). Ownership, Investor Protection and Earnings Expectations. Helenic Financial and Accounting Association Athens, Greece. Raonic, I., Espinosa, M. and Gietzmann, M. (2006). U.S. Institutional Investors and Non-U.S. Biotech and Pharmaceutical Companies. Manchester Business School Seminar Manchester, UK. Raonic, I., Dargenidou, C. and McLeay, S.J. (2005). Expected Earnings Growth and the Cost of Capital: An Analysis of Accounting Regime Change in the European Financial Market. Abacus Accounting Forum Sydney, Australia. Raonic, I., Dargenidou, C. and McLeay, S.J. (2005). Ownership, Investor Protection and Earnings Expectations. American Accounting Association Meeting San Francisco, US. Raonic, I., Dargenidou, C. and McLeay, S.J. (2005). Ownership, Investor Protection and Earnings Expectations. London School of Economics Seminar London, UK. Raonic, I., Dargenidou, C. and McLeay, S.J. (2005). Ownership, Investor Protection and Earnings Expectations. The International Accounting Conference - University of Ilinnois at Urbana Champaign Kobe, Japan. Raonic, I., Dargenidou, C. and McLeay, S.J. (2004). Ownership, Investor Protection and Earnings Expectations. Cass Business School Seminar London, UK. Raonic, I., Di Pietra, R., Grambovas, C. and Riccaboni, A. (2004). The Effect of Board Size and Busy Directors on the Market Value of Italian Companies. EAA Annual Congress Prague, Check Republic. Raonic, I., Di Pietra, R., Grambovas, C. and Riccaboni, A. (2004). The Effect of Board Size and Busy Directors on the Market Value of Italian Companies. Emerging Issues in Accounting and Business International Conference - Niagara University Padua, Italy. Raonic, I., Di Pietra, R., Grambovas, C. and Riccaboni, A. (2004). The Effect of Board Size and Busy Directors on the Market Value of Italian Companies. European Institute for Advanced Studies in Management (EIASM) Conference on Accounting Regulation Siena, Italy. Raonic, I., Dargenidou, C. and McLeay, S.J. (2003). Institutional Factors in Earnings Expectations. EAA Annual Congress Seville, Spain. Raonic, I., Dargenidou, C. and McLeay, S.J. (2003). Institutional Factors in Earnings Expectations. EIASM Conference on Capital Market Research in Accounting Frankfurt, Germany. Raonic, I., Dargenidou, C. and McLeay, S.J. (2003). Institutional Factors in Earnings Expectations. Financial Reporting and Regulatory Practices in Europe Corsica, France. Raonic, I., Assimakopoulos, Y. and McLeay, S.J. (2003). The Timeliness of Income Recognition by European Companies: An Analysis of Institutional and Market Complexity. Journal of Business Finance and Accounting Annual Conference Bowness-on-Windermere, UK. Raonic, I., Assimakopoulos, Y. and McLeay, S.J. (2002). The Timeliness of Income Recognition by European Companies: An Analysis of Institutional and Market Complexity. British Accounting Association Jersey, UK. Raonic, I., Assimakopoulos, Y. and McLeay, S.J. (2002). The Timeliness of Income Recognition by European Companies: An Analysis of Institutional and Market Complexity. EAA Doctoral Colloquium Copenhagen, Denmark. Raonic, I., Assimakopoulos, Y. and McLeay, S.J. (2002). The Timeliness of Income Recognition by European Companies: An Analysis of Institutional and Market Complexity. EIASM Euroconference Den Bosch, The Netherlands. Raonic, I., Assimakopoulos, Y. and McLeay, S.J. (2002). The Timeliness of Income Recognition by European Companies: An Analysis of Institutional and Market Complexity. Irish Accounting Association Conference Galway, Republic of Ireland. Raonic, I., Assimakopoulos, Y. and McLeay, S.J. (2001). The Timeliness of Income Recognition by European Companies: An Analysis of Institutional and Market Complexity. EIASM Conference on Capital Market Research Valencia, Spain. Gietzmann, M., Isidro, H. and Raonic, I. (2018). Vulture funds and the fresh start accounting value of firms emerging from bankruptcy. Journal of Business Finance and Accounting, 45(3-4), pp. 410–436. doi:10.1111/jbfa.12303 . Gietzmann, M. and Raonic, I. (2014). Thinly Traded Growth Stocks: A Joint Examination of Transparency in Communication and the Trading Platform. European Accounting Review, 23(2), pp. 257–289. doi:10.1080/09638180.2013.768802 . Raonic, I. and Isidro, H. (2012). Firm Incentives, Institutional Complexity and the Quality of “Harmonized” Accounting Numbers. The International Journal of Accounting, 47(4), pp. 407–436. doi:10.1016/j.intacc.2012.10.007 . Dargenidou, C., McLeay, S. and Raonic, I. (2011). Accruals, disclosure and the pricing of future earnings in the European market. Journal of Business Finance and Accounting, 38(5-6), pp. 473–504. doi:10.1111/j.1468-5957.2011.02245.x . Dargenidou, C., McLeay, S.J. and Raonic, I. (2011). Transparency, Disclosure and the Pricing of Future Earnings in the European Market. Journal of Business Finance and Accounting. Espinosa, M., Gietzmann, M. and Raonic, I. (2009). US institutional investors response to the news flow of intangibles intensive European stocks: A study of European Biotech and Pharma stocks. European Accounting Review, 18(1), pp. 63–92. doi:10.1080/09638180802481581 . Espinosa, M., Gietzmann, M. and Raonic, I. (2009). US Institutional Investors Response to the News Flow of Foreign Stocks: A Study of European Biotech and Pharma Stocks. European Accounting Review, 18, pp. 63–92. Di Pietra, R., Grambovas, C.A., Raonic, I. and Riccaboni, A. (2008). The effects of board size and ‘busy’ directors on the market value of Italian companies. Journal of Management & Governance, 12(1), pp. 73–91. doi:10.1007/s10997-008-9044-y . Pietra, R.D., Grambovas, C., Raonic, I. and Riccaboni, A. (2008). The effects of board size and ‘busy’ directors on the market value of Italian companies. Journal of Management & Governance, 12(1), pp. 73–91. Dargenidou, C., McLeay, S. and Raonic, I. (2007). Ownership, investor protection and earnings expectations. Journal of Business Finance and Accounting, 34(1-2), pp. 247–268. doi:10.1111/j.1468-5957.2006.00663.x . Dargenidou, C., McLeay, S.J. and Raonic, I. (2007). Ownership, Investor Protection and Earnings Expectations. Journal of Business Finance and Accounting, 34, pp. 247–268. Dargenidou, C., McLeay, S. and Raonic, I. (2006). Expected earnings growth and the cost of capital: an analysis of accounting regime change in the European financial market. Abacus, 42(3-4), pp. 388–414. doi:10.1111/j.1467-6281.2006.00207.x . Raonic, I., McLeay, S. and Asimakopoulos, I. (2004). The timeliness of income recognition by European companies: An analysis of institutional and market complexity. Journal of Business Finance and Accounting, 31(1-2), pp. 115–148. doi:10.1111/j.0306-686X.2004.00004.x . Raonic, I., McLeay, S.J. and Asimakopolous, I. (2004). The Timeliness of Income Recognition by European Companies: An Analysis of Institutional and Market Complexity. Journal of Business Finance and Accounting, 31, pp. 115–148. Raonic, I., Dargenidou, C. and McLeay, S. Financial Transparency and Stock Returns: An International Study. Raonic, I. and Gietzmann, M. (2009). Disclosure, Types of Trading and Share Performance on the Alternative Investment Market. Accounting in Europe, Editorial Board Member, Sep 2017 – present. Accounting Business Research, Editorial Board Member, May 2017 – present. European Accounting Review, Referee, 2010 – present. Accounting and Business Research, Referee, 2007 – present. Journal of Business Finance and Accounting, Referee, 2006 – present. Journal of Management and Governance, Referee, 2006 – present. ISCTE-IUL Instituto Universitário de Lisboa Seminar. (Seminar) Lisbon (2017). Invited speaker. Journal of Business Finance and Accounting Conference. (Conference) Hong Kong (2017). Invited speaker. Co-authors: Isidro, H., Raonic, I.
European Accounting Association Annual Meeting. (Conference) Valencia, Spain (2017). Invited speaker. Southern African Finance Association Conference. (Conference) Cape Town (2017). Invited speaker. European Accounting Association. (Conference) Mastricht, Netherlands (2016). Invited speaker. EIASM Conference on Accounting and Regulation. (Conference) Siena, Italy (2016). Invited speaker. University of Miami Research Seminar. (Seminar) Miami, US (2015). INSEAD Research Seminar. (Seminar) Paris, France (2015). Financial Management Association Annual Meeting. (Conference) Orlando, USA (2015). European Finance Association Annual Meeting. (Conference) Vienna, Austria (2015). Canadian Accounting Association Annual conference. (Conference) Toronto, Canada (2015). Invited speaker. 9th Asia-Pacific Business Research Conference. (Conference) Singapore (2015). X Workshop on Empirical Research in Financial Accounting. (Conference) Coruna, Spain (2014). EAA Annual Congress. (Conference) Talin, Estonia (2014). Methodological and Empirical Advances in Financial Analysis. (Conference) Sydney, Australia (2010). Invited speaker. EIASM Workshop on Accounting and Economics. (Conference) Vienna, Austria (2010). Invited speaker. EAA Annual Congress. (Conference) Istanbul, Turkey (2010). Invited speaker. EAA Annual Congress. (Conference) Tampere, Finland (2009). American Accounting Association Annual Meeting. (Conference) New York (2009). VI Workshop on Empirical Research in Financial Accounting. (Conference) Madrid, Spain (2008). Instituto de Empresa Business School Seminar. (Seminar) Madrid, Spain (2008). EAA Annual Congress. (Conference) Lisbon, Portugal (2007). Manchester Business School Seminar. (Seminar) Manchester, UK (2006). International Conference in Computing in Economics and Finance. (Conference) Cyprus (2006). International Conference in Accounting and Finance. (Conference) Thessaloniki, Greece (2006). Helenic Financial and Accounting Association. (Conference) Athens, Greece (2006). EAA Annual Congress. (Conference) Dublin, Ireland (2006). London School of Economics Seminar. (Seminar) London, UK (2005). The International Accounting Conference - University of Ilinnois at Urbana Champaign. (Conference) Kobe, Japan (2005). American Accounting Association Meeting. (Conference) San Francisco, US (2005). Abacus Accounting Forum. (Conference) Sydney, Australia (2005). Cass Business School Seminar. (Seminar) London, UK (2004). European Institute for Advanced Studies in Management (EIASM) Conference on Accounting Regulation. (Conference) Siena, Italy (2004). Emerging Issues in Accounting and Business International Conference - Niagara University. (Conference) Padua, Italy (2004). EAA Annual Congress. (Conference) Prague, Czech Republic (2004). Journal of Business Finance and Accounting Annual Conference. (Conference) Bowness-on-Windermere, UK (2003). Financial Reporting and Regulatory Practices in Europe. (Conference) Corsica, France (2003). EIASM Conference on Capital Market Research in Accounting. (Conference) Frankfurt, Germany (2003). EAA Annual Congress. (Conference) Seville, Spain (2003). EAA Doctoral Colloquium. (Seminar) Copenhagen, Denmark (2002). Irish Accounting Association Conference. (Conference) Galway, Republic of Ireland (2002). EIASM Euroconference. (Conference) Den Bosch, The Netherlands (2002). British Accounting Association. (Conference) Jersey, UK (2002). EIASM Conference on Capital Market Research. (Conference) Valencia, Spain (2001).